The sand-colored birds are considered endangered in New York and have been protected through the federal Endangered Species Act since 1986. Hempstead Town officials have seen an increased number of piping plover chicks, an endangered shorebird species, this summer after years of efforts to protect their habitats. The sand-colored birds are considered endangered in New York and have been protected through the federal Endangered Species Act since 1986. They live on Long Island's North and South shores, including along the barrier island that's home to Atlantic Beach, East Atlantic Beach, Long Beach, Lido Beach and Point Lookout. In 2008, 14 pairs of plovers produced 10 chicks — known as fledges — that lived about a month and learned to fly, according to town data. In 2017, 15 pairs produced 19 fledges, and 14 pairs produced 26 fledges this year. "This is up significantly from last year," said town conservation biologist Tara Schneider-Moran. 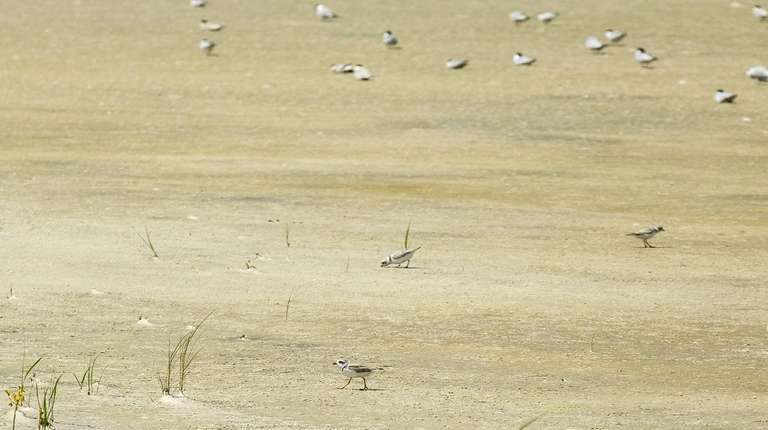 "By protecting these plovers and creating these habitats . . . we are actually creating an entire ecosystem that would otherwise be lost." The town has worked to encourage ephemeral pools, or tidal pools that the birds forage in for little invertebrates, as well as put up string fencing, chicken wire and bird netting around nesting sites and habitats in the hopes that the measures will protect the chicks until they're old enough to fly. 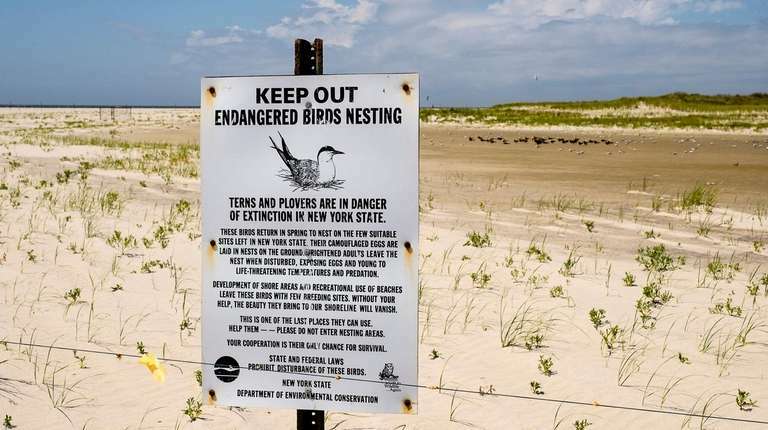 Officials have also worked with organizations such as Audubon New York to educate beachgoers and residents about the birds, Schneider-Moran said. "Piping plovers are a beautiful species that have made their home along Town of Hempstead beaches, and despite their endangered status, have demonstrated their resilience in the aftermath of superstorm Sandy," said Hempstead Town Councilwoman Erin King Sweeney, the town board's majority leader, in a statement. The town and Audubon New York worked with students at the Brandeis School in Lawrence last year to create posters for an awareness campaign to alert people about the nesting birds in the hopes that fewer bird/human interactions would lead to increased "productivity" for the plovers. The goal is for beachgoers to learn to "share the shore" with the birds, said Amanda Pachomski, Audubon New York's Long Island bird conservation manager. "I think the Town of Hempstead has done a wonderful job. They've been able to find a balance between recreation and conservation," she said. Pachomski said while the town's increased fledges population, it doesn't mean their work is done. With an endangered species, "every individual bird matters." "Any space we can give them while we're out enjoying their home would be really helpful," she said. Hempstead Supervisor Laura Gillen touted the efforts.